Rachel’s Organic Yoghurts currently has a great on-pack promotion on their Greek Style Natural pots: win a Royal Doulton bowl in their new ‘1815’ style (plus the chopping board, pictured). Well, they’re just so gorgeous we thought we’d give you a shot at winning the full 16 piece dinner set, worth £90. There are three colours to choose from – winners can pick which they’d like. 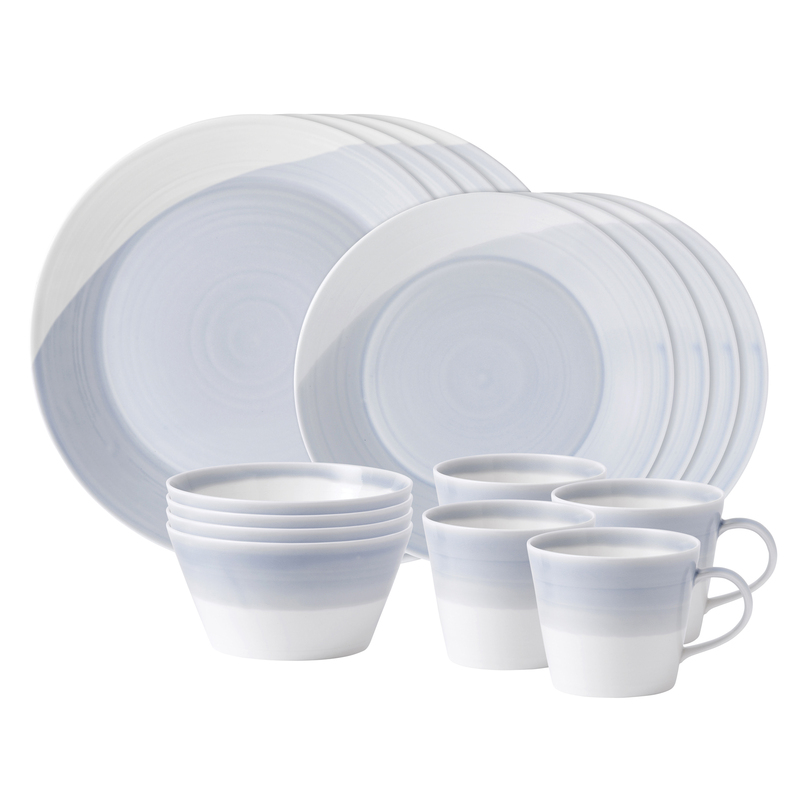 Prize Details: There are five prizes of one Royal Doulton 1815 16 piece dinner set. The closing date and time for entries is 23.59 on 11/05/2014. Entries placed after this date and time will not be included in the prize draw. The winners will be selected at random in the week commencing 12/05/2014. The winners of the prizes will be contacted on Twitter by Direct Message within 5 days of the draw and will be given full details of how to redeem their prize. If the winner cannot be contacted or does not respond within 14 days, or cannot take up the prize, then Ocado reserves the right to select another winner. The promoter of this prize draw is Ocado Limited. For details of the winner’s name and county please email marketing@ocado.com. This entry was posted in Competitions and Prize Draws, Freebies, Talking Ocado and tagged 1815 dinner set, china, cooking from scratch, crockery, enter now, food, foodie, free, giveaway, Greek Style Yoghurt, Groceries, homeware, kitchen and dining, Ocado, Ocado groceries, ocado.com, Organic, prize draw, Rachel's, Retweet, Royal Doulton, tableware, Twitter, Win by Ocado. Bookmark the permalink. Wow! fantastic giveaway, thanks for chance to win, fingers crossed.